Does the tear render the Tallis invalid or may it continue to be worn despite its tear? If the Tallis is rendered invalid, does it help to sew the torn area back together? If it does help to resew the torn area, must the Tzitzis attached to the torn area be first untied and then retied after the sewing is complete? In general a torn Tallis does not become invalid, and may be worn in its torn state, unless it occurred near the corner area where the Tzitzis are tied. 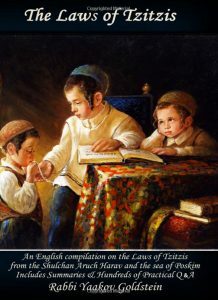 If a piece of the Tallis was torn off then the Tallis remains Kosher so long as the Tallis retains its minimum size [explained in Chapter 3 Halacha 7] and the corner area remains whole. Corner of 6×6 cm completely off tore – Sewing back onto a Tallis with its Tzitzis: If one of the corners of a Tallis completely tore off the Tallis together with the Tzitzis, or if the corner was cut off, [then if the corner is less than Shiur Tallis but is at least 6×6 cm] then one may not sew this corner onto another Tallis together with its Tzitzis, and rather the Tzitzis must be removed and then retied after the corner is sewed. This prohibition applies even if the corner piece that was cut or torn is very large [much larger than the 6×6 cm square of the legal corner] and one desires to sew it to a Tallis that is missing a fourth corner. [This prohibition applies even if one desires to sew it back onto the same Tallis that it tore from.] In the event that one did so, the set of Tzitzis that was on the torn corner is invalid and the Tzitzis must be removed and then retied. This however only applies if the torn or cut corner piece is not large enough to the point that it contains Shiur Tallis in it of itself; if however the size of the cut corner piece contains Shiur Tallis, then it is permitted to sew the corner together with its Tzitzis to another Tallis which has three corners of Tzitzis [as explained above], and it is not necessary to remove and then retie that set of Tzitzis after the corner is sewed. It goes without saying that if one does not desire to sew this cut piece of Shiur Tallis to another Tallis, but rather desires to wear it on its own, that it is permitted to simply tie Tzitzis to the other three corners and it is not necessary to untie the original Tzitzis from it. If there is no other Kosher Tzitzis available: Some Poskim argue on the above and rule that Tzitzis that were tied to a corner never become invalid unless the torn piece does not retain even a minimum corner measurement of 3×3 Gudlin [6×6 cm]. Thus, even if the Tallis tore in half and there does not remain Shiur Tallis on the torn sides, but each side contains the size of 6×6 cm, it is permitted to resew the sides together with the Tzitzis, and one is not required to untie the Tzitzis and then retie them after the sewing. This applies whether the sides completely split, or are attached to less than 6 cm of length. Practically, one is to be stringent like the former opinion [which invalidates the Tzitzis and requires its removal and retying, if the sides do not retain Shiur Tallis], however if it is not possible to undo the Tzitzis and other Tzitzis are not available, then one may be lenient like this opinion [to sew the sides together while the Tzitzis is attached, if the torn piece retains a 6×6 cm size]. Such a case can occur if one of the strings of that Tzitzis tore below the length of 24 cm, but above Kdei Aniva [4 cm], and is hence only Kosher prior to being untied, however once it is untied it may no longer be tied back onto the corner. In such a case, if one does not have any other Tzitzis available at all, one may resew the sides together without removing the Tzitzis. May one sew a braided Tzitzis onto a corner? The Tzitzis must be braided while on the corner. Hence it is invalid to braid a Tzitzis and then sew it onto a corner of a Tallis. This applies even if the Tzitzis was on another Tallis. Thus one may not cut the corner of a Tallis in order to free the Tzitzis and then sew the Tzitzis onto another Tallis. Likewise, invalidation applies even if the hole of a corner tore and the Tzitzis braid slipped off the Tallis and one desires to replace it to this corner during the sewing. The Tallis completely tore on one side within the 6×6 corner area beneath the hole: The above law only applies if the tear occurred above the hole, but within the 6×6 cm corner area of the Tallis. [Picture C] If however it occurred beneath the hole [Picture D], it remains valid, even if the entire piece under the hole came off, as explained in C below! Summary-The corner area completely tore on one side: [This follows the same ruling stated previously regarding a Tallis that tore on one side within 6×6 cm of the corner.] If the corner tore above the hole, within the 6 by 6 cm area, either in length or width, and it ripped through the edge, and the rip is at least 3 cm long, then the Tallis is invalid and it is disputed as to whether this Tallis can be made Kosher if one sews the corner back on and removes the Tzitzis beforehand. Some opinions rule one may remove the Tzitzis and resew the corner, while others rule the corner is invalid even with sewing. Practically one is to suspect for their opinion when possible [and hence if possible one is to be stringent and never wear this Tallis, or alternatively is to sew a 6×6 cm piece of cloth to the back of this torn corner, and then attach the Tzitzis to it.] If the corner tore beneath the hole, the Tzitzis remains valid as explained in Halacha C! If any part of the Tallis which contains a set of Tzitzis completely tears off the Tallis, the Tallis is rendered invalid until it is repaired to contain four corners and four sets of Tzitzis, as explained in B. If the torn piece remains still attached to the Tallis, then if it contains at least 6 cm of attached space and the tear did not occur within the 6×6 corner area, the Tallis remains valid and is not required to be resewn. 3. A piece of the Tallis tore off, together with a set of Tzitzis. In all the above cases refer to B regarding if resewing the tear is valid, and regarding whether the Tzitzis must be untied and retied to the corner after the sewing. Piece completely tore off: Whenever a Tallis becomes invalid due to the complete tearing off of a corner from the Tallis together with its Tzitzis, then whether one may sew the part back onto the Tallis, and revalidate it, is dependent on the size of the torn corner. If both the Tallis and its torn part retain the minimum shiur of Tallis [1×1 Ama], then one may sew the sides back together with their Tzitzis. One is not required to undo the Tzitzis prior to the sewing. If however the torn part is less than Shiur Tallis, then if the torn piece is at least 6×6 cm, one may sew it back onto the Tallis after first removing the Tzitzis, and then retie the Tzitzis after the sewing is complete. If the torn piece is less than 6×6 cm then one is to be stringent not to sew it back onto the Tallis, even if he plans to remove the Tzitzis beforehand. Piece still attached: Whenever a piece of the Tallis has torn but remains partially attached, then one may sew the part back onto the Tallis together with its Tzitzis if the tear occurred outside the 6×6 corner area and there remains 6 cm of attached space to the torn piece. One is not required to undo the fringes prior to the sewing. In such a case even if one does not resew the Tallis, it remains Kosher. If there is less than 6 cm of attached space to the torn piece, then although resewing is valid, nevertheless one must remove the fringes prior to resewing. If the Tallis ripped within the 6×6 cm corner area, either in length or width, and it ripped through the edge, above the Tzitzis hole, and the rip is at least 3cm long, then some opinions rule one must remove the Tzitzis and resew the corner, while others rule the corner is invalid even with sewing. Practically one is to suspect for their opinion when possible. May one sew a corner onto the Tallis? If the corner is three by three Etzbaos [6×6 cm] it is permitted to sew it [without Tzitzis] onto a Tallis. The widespread custom today is to sew a piece of cloth by [each of] the corners of the Tallis, in order to gain an additional valid corner. What is the law if only the front part or only the back part of the corner ripped? As long as there is one corner intact the Tzitzis is valid. Thus, by today’s Talleisim which have an extra square corner sewed on the back of each corner, the corner remain valid so long as an invalidating tear has not occurred in both corners. If the side of one’s Tallis tore and now contains more than four corners, must it be sewed prior to wearing? If the Tallis did not tear in majority of its length or width, then one may wear it as usual. If however the Tallis tore in majority of its length or width, then some Poskim rule one is to immediately fix the Tallis and resew the tear. Accordingly, one may not wear this Tallis with a blessing until it is sewn. Some Poskim rule one is required to undo all the Tzitzis and retie them after the tear is sewn, and the extra corners invalidated. Other Poskim however rule one is not required to undo the Tzitzis and the mere sewing suffices, and so is the ruling of Admur. This law applies likewise if the Tallis Katan tore in the neck hole and the tear extends for majority of the length. Ruling of Admur in Siddur: According to Admur in the Siddur one is never required to resew the tear of a Tallis even if the tear forms more than four corners, unless the piece tore to the point that it is less than 6 cm attached, or is near the corner, as explained in the summary above. If the Tallis Katan tore by the neck hole of one side, all the way down through the bottom of the Tallis, does it remain valid? Some write the Tallis is invalid and must have its Tzitzis removed and then resewn. It is unclear if this ruling stands correct according to Admur. What is the law if the shoulder area of the Tallis Katan tore? Remains attached on one end: Some rule that according to Admur in the Siddur there is no minimum size required for the shoulder material, and hence if each shoulder is still attached by one end [either inner or outer] it remains valid. Other Poskim rule that if the two shoulders combined have torn in majority, the Tallis is invalid and is to have all of its Tzitzis removed and then its shoulders resewed and its Tzitzis retied. The custom is to resew the shoulders without removing the Tzitzis. One shoulder completely tore on both of its ends: If one shoulder completely tore on both its ends while the other remains intact, then the Tallis is invalid and must have its shoulders resewn. Some Poskim rule the one is not required to remove the Tzitzis prior to this sewing. 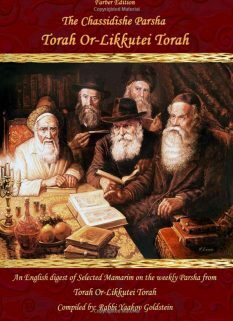 Others rule the Tzitzis must be removed and then retied. If after tying the Tzitzis to a hole that was made within its proper dimensions, a tear occurred in the area of the corner which is under the hole, to the point that the hole now measures less than 4 cm from the edge, the Tzitzis nevertheless remain valid. It remains valid even if the hole tore until the rim of the corner, and the Tzitzis is hanging by a mere thread that is under the hole. One is not required to sew the tear so long as the Tzitzis is hanging on even a mere thread. Nevertheless, initially it is proper to strengthen the hole in a way that it will not tear, as explained in C. If the hole tore prior to placing the Tzitzis onto the hole, then one may not tie Tzitzis to this hole until he sews it in a way that it returns to hold the Tzitzis in its proper dimensions. The same applies if one is replacing Tzitzis onto a torn hole, that it must be properly sewn prior to tying the new Tzitzis. May one sew a corner onto a garment? As explained in Halacha B, a corner that is 6×6 cm in dimensions is permitted to be sewed [without Tzitzis] onto a Tallis, and so is done even initially. If it is less than 6×6 cm one may not sew it. What material is one to use to sew a tear that occurred within the corner? If the corner of the Tallis tore and requires stitching, then if the tearing occurred outside of the legal parameters for where the hole and its Tzitzis may be made, [i.e. the tear is below 4 cm from the bottom or side, or is above 6 cm from the bottom or side] then one may use any material thread for the sewing. 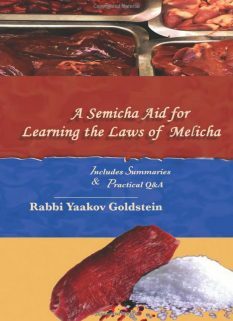 If however the tear occurred within the legal parameters of the hole and its Tzitzis, which is within 4-6 square cm from the bottom of the corner [see Halacha 12A], then some Poskim rule it is forbidden to sew using a white thread which is made of a material that is valid to be used as Tzitzis for that Tallis. This applies even if the tear is very minor [and does not invalidate the Tallis]. For example, if the Tallis is made of linen one is not to sew the tear using linen threads, but rather is to use silk threads, or threads of other material; If the garment is made of silk, one is not to sew the tear using silk [or wool] threads; If the Tallis is made of wool one is not to use wool threads to sew the corner but rather is to use silk threads, or threads of other material. [On a cotton garment one is neither to use wool nor cotton white threads, and is to use threads of other materials.] Practically, although there are Poskim that argue on this opinion, nevertheless one is to be stringent if possible. According to all opinions, one may use a colored thread for this sewing. When possible, one is to be stringent not to sew within 4-6 square cm of the bottom and side of the corner, any white thread which is of a Kosher material of Tzitzis for that Tallis. Ruling of Michaber: Admur in Kuntrus Achron 15:2 learns that the Michaber 15:3-4 rules mainly like the lenient opinion, and that only a G-d fearing Jew needs to be stringent like the opinion of Tosafus. As it no longer has four corners with Tzitzis. Based on reason of Admur brought in next footnote “being that the Tzitzis still remained attached to a piece of garment that retains Shiur Tallis and contains four corners”; This implies that if the torn corner area became rounded due to the tear, or if it tore in a diagonal from end to end and hence became a three cornered Tallis, all of its Tzitzis must be removed prior to the re-sewing, even if both parts contain Shiur Tallis. So rules also: M”B 10:12; 15:6 in name of Derech Hachaim; Mor Uketzia; Artzos Hachaim; Kaf Hachaim; Piskeiy Teshuvos 10:1; 15:3; See Admur 10:10; This is unlike the understanding of Piskeiy Teshuvos 15 footnote 16 in Admur 15:6, which learns the opposite in Admur there, however his proof is unclear and is clearly contradicted by Admur here. In truth, this applies whether one desires to sew it onto the Tallis from which it tore or was cut from, or onto a different Tallis which only has three corners, and one desires to now sew the fourth corner to the Tallis. [See above from Admur 15:9; Vetzaruch Iyun as to why Admur here specifically mentions the law regarding sewing the corner to a different Tallis, if in truth the same law applies even if he desires to sew it back to the same Tallis.] See footnotes below for other opinions! 15:9 due to Taaseh Velo Min Hassuiy [brought in previous Halacha]; Kuntrus Achron 15:1; Tosafus in Menachos ibid; Taz 15:4; Ateres Zekeinim 15:2; M”B 15:7; Derech Hachaim Vetzaruch Iyun as to why Michaber and Admur in 6-7 consistently states the prohibition regarding sewing it to another Tallis, hence implying that it would be permitted to sew onto the same Tallis. Furthermore, from the reason mentioned for the invalidation it implies that it would be permitted to resew with the Tzitzis back onto the same Tallis. Vetzaruch Iyun! Seemingly this means that the Tallis contains four corners, but only three with Tzitzis, and hence needs another corner added with Tzitzis. If however the Tallis is of three corners, then seemingly its Tzitzis are invalid and must be removed and retied after the sewing of the 4th corner, as explained from Admur and Poskim in previous Halacha that the Tallis must retain four corners for it to remain valid. This is unlike the understanding of Piskeiy Teshuvos 15 footnote 16 in Admur here. Other opinions: Some Poskim rule one must remove the Tzitzis prior to sewing the piece onto another Tallis, and only when resewing to the same Tallis is one not required to remove the Tzitzis beforehand. [Taz 15:3; M”B 15:5 in name of Levush, Derech Hachaim] The reason for this is because the verse states “And you shall make Tzitzis on the corner of your garments” which teaches that at the time that the Tzitzis are tied to the corner the corner must be tied to the main part of the garment. The reason: This is done in order to verify that the corner contains a single piece of garment that is at least 6×6 cm. [Back then], the majority of the garments, even the new garments, contained sewed [pieces of garment] within the corner area, which is three Gudlin from the edge of the corner. Now, according to some Poskim [explained in 15:12], there may not be any patch of clothing [which is less than 6×6 cm] sewed within 3 Gudlin from the corner, in the area that the Tzitzis are tied to [and if one sewed a patch to that area, according to this opinion, the patch is considered to be not attached to the Tallis, and hence if one ties Tzitzis to it, the Tzitzis is invalid]. Therefore, we place in the area that the Tzitzis are tied a cloth that is 6×6 cm and does not contain any patches, in order so the Tzitzis hang on an area that is fit to be called a corner according to all. [ibid] This extra piece of cloth is helpful even today in a case that the corner tore and needs stitching, in which case the backup corner serves as the Halachic corner of the garment. Other opinions: Some Poskim rule it is permitted to cut a whole braided Tzitzis off from a corner of a Tallis and then sew it [by its bottom area] onto the corner of another Tallis. 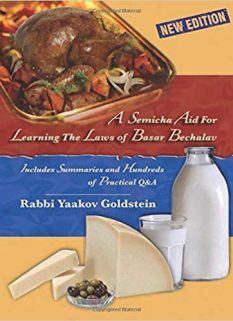 [Rabbeinu Yeshaya [author of Tosafus Rid, 1100’s] brought in Sam Chaim p. 14 Hilchos Tzitzis; Birkeiy Yosef in Shiyurei Bracha 15:1; Rav Poalim 3:1; Artzos Hachaim 15:2 allows to return the strings to the same Tallis.] These Poskim hold it is not necessary for the braid to be made while the strings are attached to the Tallis. Meaning that the tear is above the hole, either vertically or horizontally. [See picture C versus picture D] One must establish that the ruling here in Admur refers to a tear above the hole as otherwise it would contradict his own ruling in 11:18; 11:15; Siddur Admur [Letter 16 Raskin] that even if the entire area under the hole tears off it is valid. So is also clearly implied from the reason of Admur “as if the entire corner was cut off” and Olas Tamid ibid, and so is implied from Ketzos Hashulchan 6:13 which writes “And the Tzitzis is within this cut area, even though the Tzitzis remain complete”; Rav S.D. Levin agreed to this understanding of Admur. One must establish that the previous ruling here in Siddur Admur refers to a tear above the hole, as otherwise it would contradict his own ruling in 11:18; 11:15; Siddur Admur [Letter 16 Raskin] that even if the entire area under the hole tears off it is valid. So is also clearly implied from the reason of Admur “as if the entire corner was cut off” and Olas Tamid ibid, and so is implied from Ketzos Hashulchan 6:13 which writes “And the Tzitzis is within this cut area, even though the Tzitzis remain complete”; Rav S.D. Levin agreed to this understanding of Admur. The reason: As since the tear is beneath the parameter of the Tzitzis, the Tzitzis is not considered to have been cut off the Tallis together with this torn area. It is only when the tear is above the Tzitzis that the Tzitzis becomes invalid due to it being considered that the entire torn area has been torn off, together with the Tzitzis that is in that area. Siddur Admur [letter 18 Raskin]; This ruling is not explicitly brought in previous Poskim The novelty in this ruling of Admur is that even though the attached area is not 6 cm long, nevertheless the Tallis remains valid, and the requirement of 6 cm attachment only applies if the tear reaches one of the ends of the Tallis. Admur 15:14, brought in 10 F! ; See Chelek Levi 5; Piskeiy Teshuvos 15:5 footnote 35; Ashel Avraham Butchach Tinyana 11; Tehila Ledavid 11:9 and Nefesh Chayah 10:4 leave this matter in question. As a corner is only defined as a Halachic corner if it is split for majority of the length of the Tallis, as explained in Halacha 11A. The reason: As this Tallis now contains more than 4 corners which is initially not to be done, as explained in Halacha 11A! Admur 15:10 and in Siddur rules that so long as 6 cm remain attached it may be resewed with the Tzitzis. 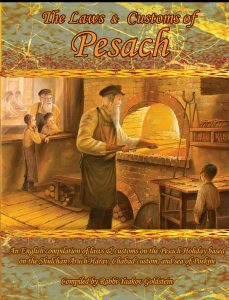 Piskeiy Teshuvos 15 footnote 26 as the Tallis is no longer a garment. As perhaps since it is still attached to the shoulder material, it is considered 6 cm attached and is hence valid. On the other hand, perhaps we view the one Ama of each side as its own entity in terms of the tearing laws. Vetzaruch Iyun. This applies only if the Tallis still retains Shiur Tallis, which is 1×1 Ama on both sides. This applies even if a piece of corner tore off, within the 6×6 area, it nevertheless remains valid. This matter is a dispute and we are stringent. Whether the Tzitzis must be removed prior to sewing is a dispute and we are stringent. If the corner tore a length of 3cm: In the Siddur [See Halacha B] Admur rules that if the corner tore off for a length of 3 cm then the corner is no longer valid, irrelevant of the hole. In order for the two rulings not to contradict, one must establish that the case there refers to a tear above the hole [picture C above] while here it refers to a cut below the hole. 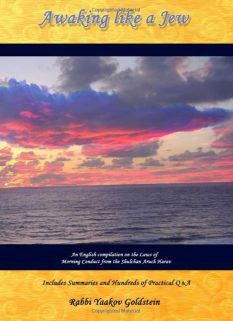 [Picture D above] See Halacha B! Ruling of Admur in Siddur: See Siddur Admur [letter 20 in Raskin] that writes that if a tear occurred outside the corner one is to sew using a non-Tzitzis material thread. Vetzaruch Iyun Gadol! Rav Raskin in footnote 107 leaves this matter inconclusive! As wool Tzitzis is valid for any material garment.